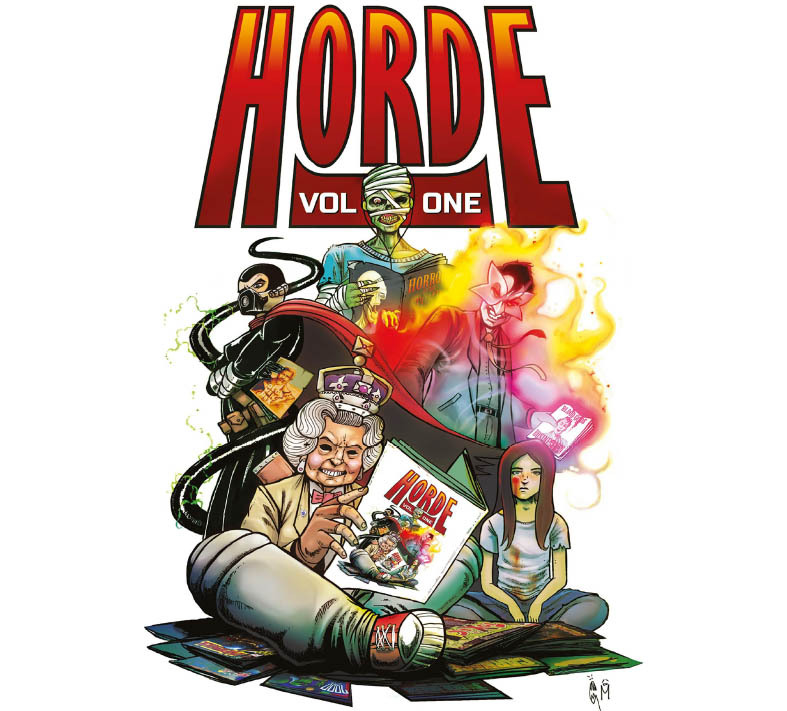 Fresh off a successful Kickstarter, the first volume of Horde Comics anthology is out now! Horde’s very first publication. A collection of short stories in this 42 page, all colour digital download. As well as profiles of all the creators and pin up art! First of all, I really like the front cover – it really pops out and I can see it being unique on a digital ‘shelf’ – something I’ve wondered about for a while! Berserk gets us in the mood, with a story about a zombie-like infection. There’s a nice twist to this tale, and I like the way it is all set out. The art is well done, with a classic jump scare too! Quiet is an excellent story – it made me smile as my daughter is doing silent comics in her art classes at the moment, and we had just been discussing it. I did think that this was a art piece like that, with some clever art and framings, but it’s …..something else. Again the art is extra special here, with some really nice colouring to set the scene, especially at the end. This one deserves a re-read, as it makes it a different story! Business lightens the tone slightly, with an amusing beginning, getting dark as we go on. I like the commentary in this story, with some amusing side notes. Then the twist comes and the art and colours really come in to their own. What would middle management do in this position? Got Milk is the lightest story so far – and this features slaying of zombies, dark things in the sky and 5p shopping bags! This was full of action (of sorts, in some places) and is a funny read! Entombed gave me a classic ‘Tales Of Terror’ feel – with some good humour, and a gradual build up to what we, the reader, could see coming. The art is excellent, and really nails the different eras! Finally we get some really good progress notes on the comics, which really add to the reading experience of the comic. Also we get profiles of the creative team, which I really liked reading These all finish up nicely with some pinups!